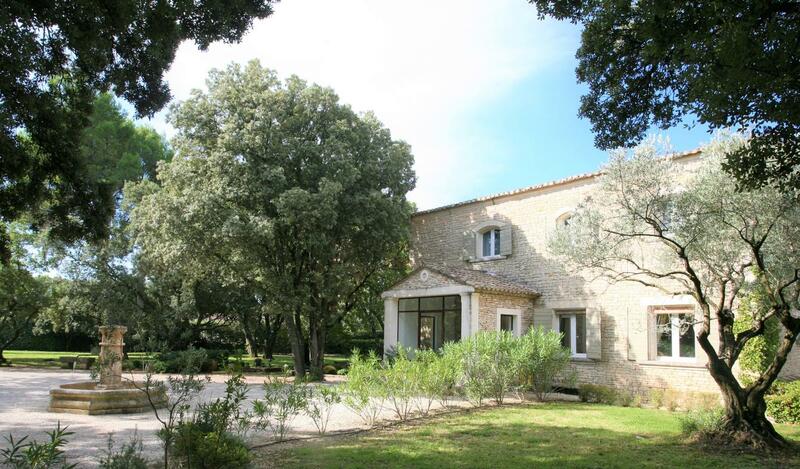 Near the village of Gordes, this splendid provencal farmhouse of about 400 sqm, beautifully renovated is a real invitation to holidays and relaxation in a wooded and green setting away from view. The property offers very spacious living areas, a living room with fireplace, bar and TV, a kitchen fully equipped and large bright dining room, with access to the garden. Upstairs are five very spacious bedrooms all air conditioned, as well as 2 bathrooms and 2 shower rooms. Outside, a heated swimming pool measuring 10 x 5 m, a summer kitchen with pizza oven, BBQ - Plancha, a summer dining room and an outdoor lounge. Available for seasonal rental all year round. Please contact us for prices and availability.